What do you dream about in your sleep? Do you have repeating dreams? Are your dreams pleasant, scary, or just neutral? Have you had anything in your dreams come true afterwards? What are dreams? Our dreams are still quite a mystery to science. Sigmund Freud suggests that they are a window into the sub-conscious mind. Scientists haven't a clue and can only come up with ideas and theories. I don't claim to know the answer either but in my novels you'll find that dreams play a significant role. So here is my take on the subject. My next novel (now in the editing stage - I'll put the title and link here once that is made public) begins with an actual dream I had. I'll share that dream in a separate post. In the novel I lend the dream to the main protagonist, Hilda. In her case the dream is a memory of some past life. Is it something from my past? I don't know. The dream sets Hilda searching for answers and the meaning of the dream. She has other dreams which are also memories, but one dream, another borrowed from a dream which I had, has her being chased by some guy throwing knives from his lofty throne. This is obviously not a real event and therefore may have some other meaning. Hilda does her own searching for what it may mean for her. In the Dragons and Visions series, the characters are often in a dreamlike, meditative state. In this state, very similar to dreaming, they encounter dragons and even loved ones who have passed on. They have conversations which they remember afterwards. When dreaming we often do not remember dreaming at all, although it is the common understanding that we always dream. 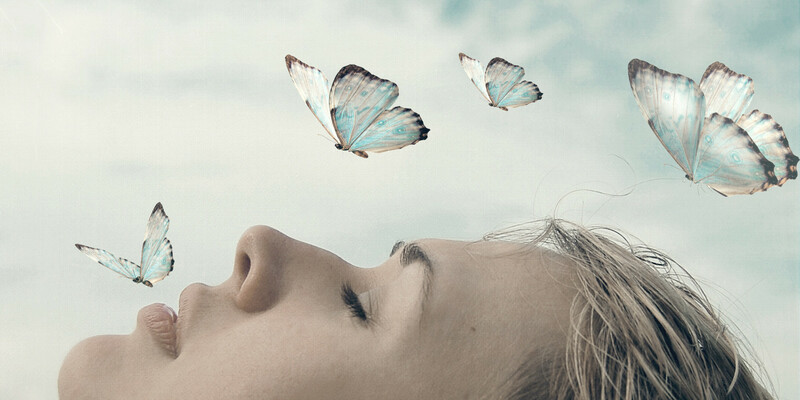 Science says that dreaming is simply an activity of the mind. Of course their understanding of the mind is limited to their scientific proof. I believe that the mind is multifaceted consisting of the conscious mind, the sub-conscious mind and the super-conscious mind. You may have other names for these but basically they are the thoughts, the feelings and memories, and the higher self. I think that when in sleep we either connect to the memories in the sub-conscious mind or messages from the higher-self. Your dreams may be memories of your current life, or maybe even memories from a previous life. However your dreams may be a cryptic message from your higher being or from some other person on the other side. Interpreting dreams is the tricky thing and there are many books with suggestions on what symbols and events may mean. What has your dream experience been? What do you think dreams are? And our little life is rounded with sleep. Thank you Teodora, there is more truth here than at first is apparent. The stuff of dreams is as real as life, or the stuff of life is as real as dreams. It is all the same energy.